Pittsburgh Theological Seminary was founded in 1794. It is affiliated with the Presbyterian Church (U.S.A.). The Rev. Dr. David Esterline is the Seminary’s sixth president and professor of cross-cultural theological education. The Seminary is located on a beautiful 13-acre campus in the East Liberty/ Highland Park section of the city of Pittsburgh. The Barbour Library is the largest theological library in the three state region, offering more than 300,000 volumes for research and exploration. Additionally, the Library houses the desk at which Karl Barth wrote his theological works and an autographed copy of his Kirchliche Dogmatic I/1. Seventeen full-time faculty members provide a low student/faculty ratio. During their Middler year, students in the M.Div. program participate in Field Education in a variety of settings including churches (urban, suburban, and rural), hospitals, and other nonprofits and special agencies. Resident students live in one of the four apartment buildings or the residence hall. Apartments range in size from efficiency to four bedroom. Our current students come from 19 U.S. states and international locations including, Austrailia, Nigeria, Nicaragua, Scotland, and Myannmar. Since 2001 the Seminary's World Mission Initiative has sent 928 individuals on intercultural learning and missional formation trips to 58 countries. Students who graduate from Pittsburgh Seminary pursue a wide variety of creative ministries in church, parachurch, and professional settings. Annual full-time master’s tuition in 2018-2019 is $456/credit. 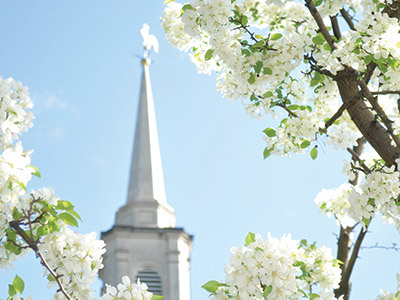 The Seminary awards financial aid in the forms of merit scholarships, need-based tuition grants, housing grants, and work-support to master’s students. Aid is available to both full- and part-time students. Students who qualify for aid can also participate in the work-support program and receive $9 per hour for up to 10 hours of on-campus work per week. Residence hall and apartment living areas are available at the Seminary at rental rates below market value for the area. PTS underwrites the cost of providing food services. Students supplement the Seminary-provided funds with income from field work, gifts from home congregations and presbyteries, support from parents and others, and student loans. Doctor of Ministry tuition is $358/credit. Full-time D.Min. students can also qualify for need-based aid. Learn more about Financial Aid at PTS.